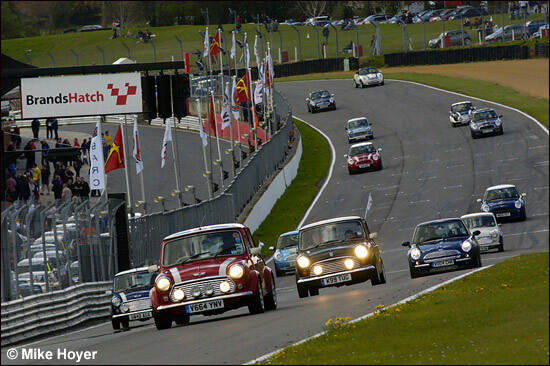 The second event in Dunlop’s new-for-2006 package was held at Brands Hatch last weekend, and proved once again to be a big hit, with a variety of close racing, track displays, and a decent crowd for the two day event. There was also the option for Mini owners to take to the track during the lunch break on Sunday, and almost 100 cars took them up on this offer, packing out the Indy circuit. 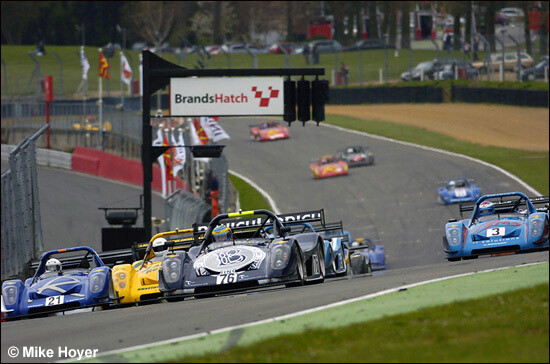 The first race on Sunday was the Radical Biduro championship event, for the Radical SR4s. Qualifying for the 20-minute race was held on the Saturday, and pole position was taken by the no. 99 car of Guy Hodgkin. Second on the grid went to James Saggers, with Simon Packer third. The race was aborted early on, with a car off at Paddock Hill bend. With this out of the way, the race was restarted. Guy Hodgkin led away, and continued to lead for the first few laps, until he was passed by Saggers on lap 6. From then on Saggers led all the way to the flag, with Hodgkin coming home second, and 16 year old Toby Newton third (complete with PalyStation sponsorship, in the Xero-run car), after starting from fourth on the grid. The second race of the day was once again won by Saggers, with Newton second, and Chris Stoney third. 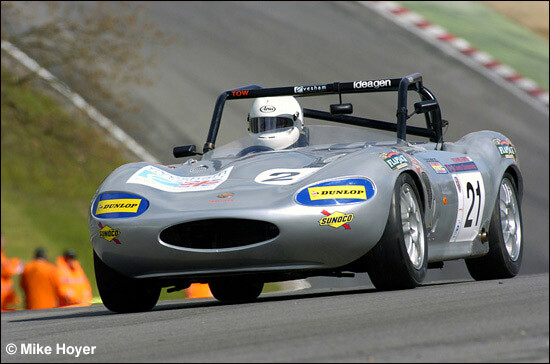 The AVO Ginetta championship, normally supporting the British F3 / GT Championships, was at Brands Hatch for this event, with three races for the Ford Zetec-engined cars. 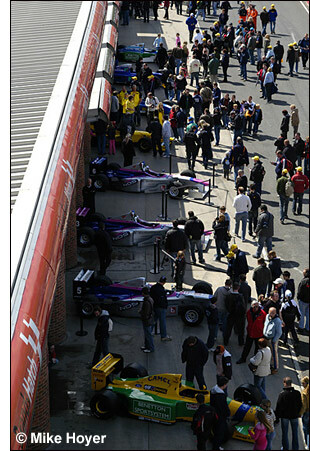 The first race had been held on Saturday at the end of the day, and for a 20 minute duration. That race was won by David Willoughby, from Tudor Alexander and John Griffith. The first race on Sunday got off to a dramatic start, with a huge accident at Paddock Hill Bend, on the first lap. It was immediately red-flagged to allow the wreckage to be cleared up, and amended to run over 15 minutes, instead of 20. 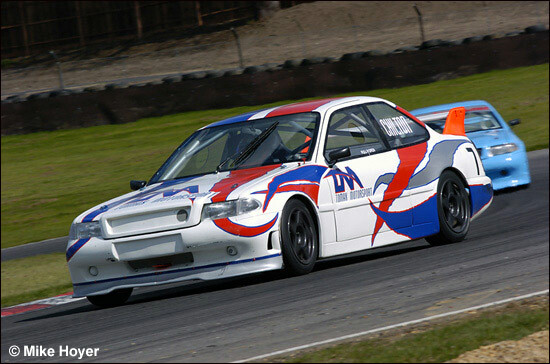 The shortened encounter was won by Richard Austin, who led all the way, with Dave Devine just 0.777 seconds behind. Julian Barrett was third. Ex-F3 man Richard Austin (below) took the win in the third race of the weekend as well, from Max Henderson and Stewart Linn. Next up was the first race for the MSV T-Cars, held over 15 laps. As usual, the championship for 14-17 year olds featured several famous names, including Jolyon Palmer and Alex Brundle. It was Max Chilton (brother of Zytek and BTCC driver Tom) who took the win though, from Ryan Borthwick and Oliver Webb. The second race was won by Borthwick, with Adrian Quaife-Hobbs second, and Max Chilton third (below). 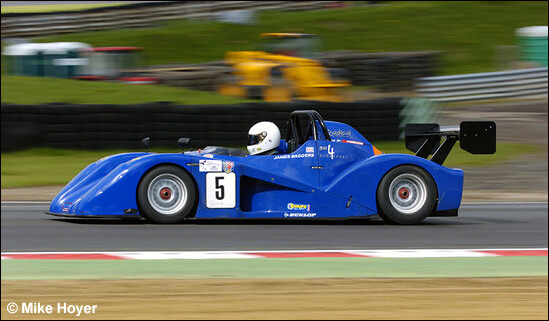 Following the T-Cars race, the Radical Enduros took to the track for their first of two 40-minute encounters. 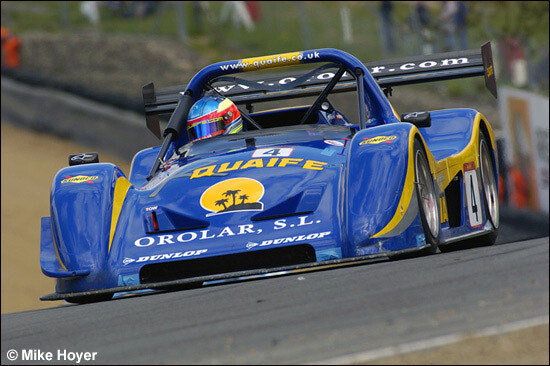 Qualifying had taken place on the Saturday, and pole position was taken by Tim Greaves and Stuart Moseley, in the former’s Radical SR8. They led up until the pit stops, but eventually retired after 37 laps, spinning into the gravel at Druids (although Moseley set the fastest Radical lap of the meeting, a 44.187). The race was won by Quaife / Atkins from seventh on the grid, with the car of Abbott / Dove second, and Richardson / Devlin third. The SR3 class was won by Redwood / Mortimer. Austin Reynolds and Nick Padmore took pole position for the second race, but spent a long time in the pits with mechanical woes, and eventually retired. The combination of Greaves / Moseley made up for their disappointing race 1 result, taking the win (below - Tim Greaves leading them away) ahead of Millner / O’Brien. Richard Ince and Austin Kinsella were third, after being punted off into the gravel at Paddock Hill bend on lap one. The Mini Se7en cars then had a shortened race, of just over 8 minutes, when two cars collided at Paddock Hill, sending one into a roll. Fortunately both drivers were uninjured, although the marshals had a shock when the fire extinguisher was set off as they reached the stricken car! The race was won by Paul Thompson, from Andrew Deviny and Damon Astin. The lunch break saw the Mini parade on track, with drivers of old and new versions of the car given the opportunity to drive two laps of the Indy circuit, although with nearly 100 cars on the circuit this was obviously not at racing speed! With the cars back in their allocated parking area at Clearways, the Mini Challenge cars took to the grid for the Sunday lunchtime grid walk, a regular feature of this race package. The EuroBOSS were also out on display in the pitlane, with members of the public getting a rare chance to get up close to some F1 machinery. Grid walk over, the Challenge cars set off on their first race of the day, which was won by Allen Jackson, from Fredrik Nordstrom and Andrew Bailey. The second race, held later in the day, was won by Arthur Forster (who had retired from the first), with Martin Depper second, and Nordstrom third. The Mini Miglia race was another to be stopped after one lap, with a car spinning off on the Cooper Straight. Andrew Hack won the restarted 10 lap encounter, with James Hall second, and Bob Sollis third. 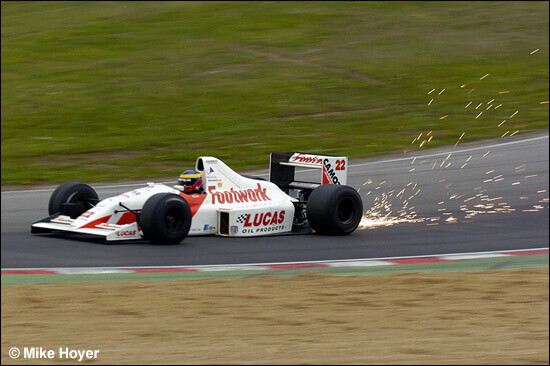 The EuroBOSS series provided some of the most impressive sights and sounds of the weekend, with Formula 1 cars making a rare appearance at Brands Hatch. 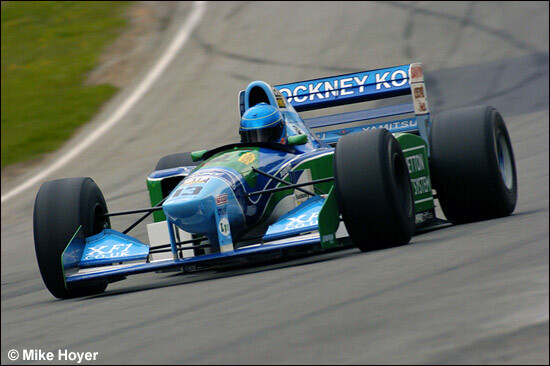 Cars eligible for the series are F1, Indycar and F3000 cars up to 2001, and some have some very impressive history, including cars driven by Michael Schumacher, Martin Brundle and others. In their current guise, they are piloted by some well known names from the world of sportscar racing.